We have learnt more than 100 characters. To learn Chinese well it’s important to review often. Today, we are going to revise some of the words by doing some exercises. 听写 （tīng xiě）means dictation. “听” is listen while “写” means write. I have prepared a five minutes audio with a list of 12 Chinese words. Click on play to listen and write down the characters on the paper. If you can’t get the words, replay the audio. It is all right if you don’t get all correct. 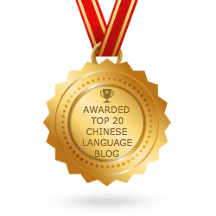 I know it is not easy to memorize all the Chinese characters that you have learnt 🙂 . Practice makes perfect. You might want to share your result in the comment session. Have a nice weekend – Learn Chinese – Be happy. * By the way, today is 中秋节（Mid-Autumn Festival or Mooncake festival, read more…）. Happy festival ! Thanks. I hope you like this website. I will put a download button for next dictation exercises.